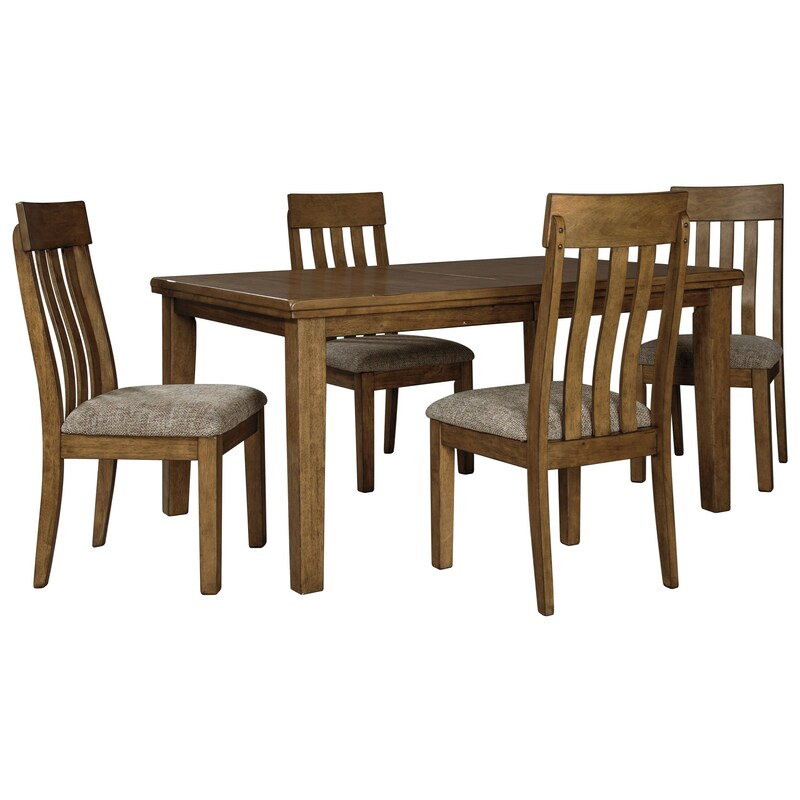 Versatile and generously scaled, this rectangular table and chair set is perfect for a smaller dining room space. The casual brown finish of these pieces highlights the natural grain character of the wood beautifully, and an included butterfly leaf allows eight people to be seated at the table when needed. The Flaybern 5 Piece Rectangular Table and Chair Set by Benchcraft at Miskelly Furniture in the Jackson, Pearl, Madison, Ridgeland, Flowood Mississippi area. Product availability may vary. Contact us for the most current availability on this product.